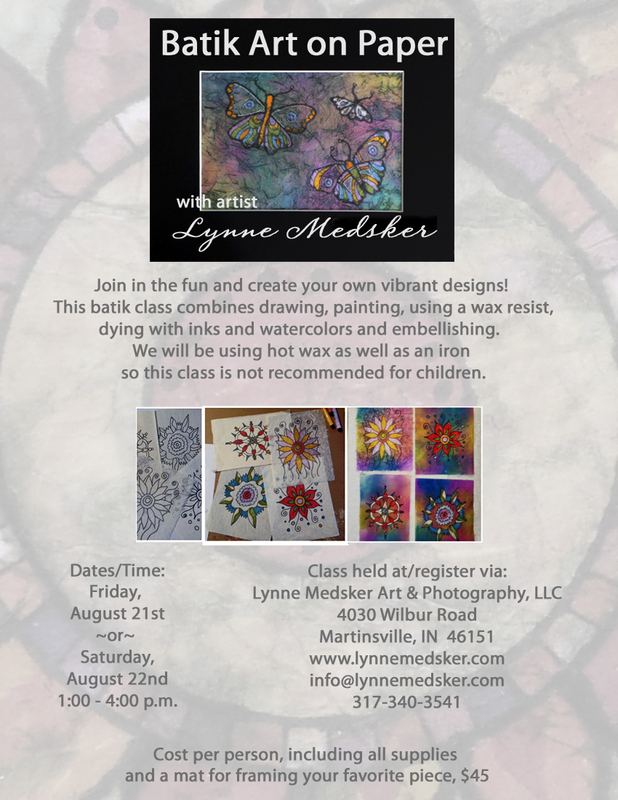 Here are the details about a new class I’m going to present here in the studio. Both sessions are the same, just giving people more options to fit in their schedule. I’ve been exploring this technique for several months now and feel like I am prepared to help YOU explore it as well! I hope you can join me. Does your space have “happy spots” that keep you smiling? Tuesday I announced the first workshop I’ll be holding in the new studio space. Today I’m asking for your input for a second workshop to be held on October 18th 2014. SO, what do YOU want to learn? Even if you aren’t able to attend I’d appreciate the feedback on what topic(s) interest you…either from the list I have available on my website or from the pages of art shown there. I’m open for anything! I’ve set aside the entire day so it can be a quick morning class or an all-day workshop. I’ll announce the topic by September 15th to allow time for sign-ups. So I’ve really begun different ways to explore art, techniques, etc. 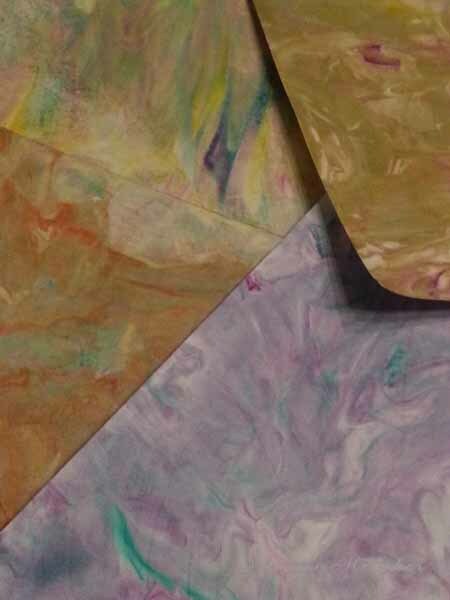 and one of the recent projects I tried was to create background papers using shaving cream as a medium for transfering acrylic inks onto the paper in interesting patterns. Sounded like fun and not too technical so I gave it a whirl! The first attempt didn’t really fall in the “successful” category but it was a learning experience, anyhow. 🙂 As I continued I did more mixing in of the ink before applying the paper & peeling it off, which worked much better and got more of a “marble” effect. The cream could be used several times before it turned “muddy” and had to be replaced. 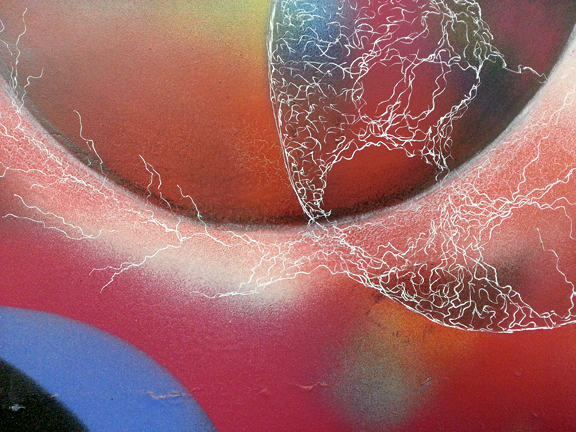 Here is an image of my favorite pieces from the session. If nothing else it was a fun sensory experience with lime scented cream and brilliant colors. Would I do it again? Yup…but first I need to use these papers up. I’ve already started on one, look for it soon! The trail includes 24 “full time” sites as well as 8 “Second Saturday” sites. My studio is included in that eight and will be open for visitors the second Saturday of each month from 11 am to 3 pm. 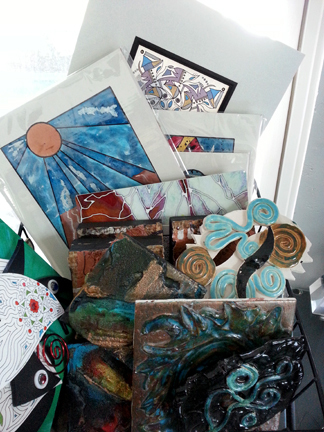 In January the first three visitors through the doors received a free piece of art from the selection shown above and created a “Make & Take” magnet. In February one lucky winner recieved a free two-hour art lesson and visitors designed their own “Make & Take” greeting cards using simple printmaking techniques. For March 9th? 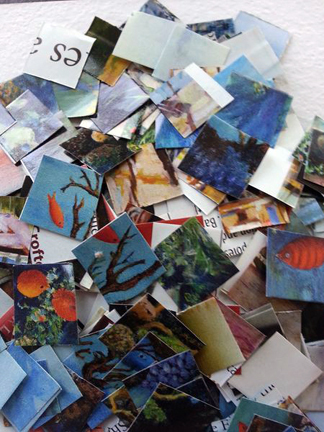 Stop in a we will make some small “Make & Take” collage art pieces from old magazines. I’ve already got some pieces cut & ready or you are welcome to leaf through some old magazines and select your own. 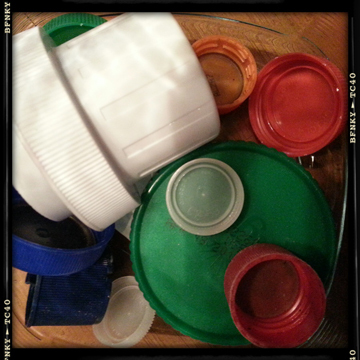 I’m collecting things for a few recycled art project! Bring in plastic lids (from water or pop bottles, detergent, milk jugs – any size, type, color – as long as they are plastic) and/or bring in some of your broken/unused jewelry (any pieces are fine but I’d be really excited to get pieces with beads on them) and you’ll be entered into a drawing for a custom draw piece of abstract art. You choose the colors you love and I’ll create it just for you! So to kick off the year I (again) re-arranged, re-organized and re-thought my studio space. This seems to be a recurring theme with me and I’m learning to accept it as part of my creative process. 🙂 Here are some images from the space as it looks now. Some of the things that are different are that I added a “gallery” wall to display my art and info on. That really helped define that “reception” end of the studio vs. the “work space”. I also purchased two new sets of shelves (a five-tier and a three-tier) and MORE storage box/tubs. I really do enjoy having all my creative resources organized and labeled, even if I don’t always enjoy the process of getting them that way! Have you done any redefining of your space or life as the new year begins?